rayo, ray ray: UGH!!! get a room for the amor of TACOS!!! I amor Jaden Smith;it is not because he is hot o that he is rich and famous,it is because I really do amor him.I am not saying that I ever met him but from all the stories that I have read about him are really interesting and sweet.Not to mention some is gossip.I amor him for who he is not to just be famous and be rich and live in a nice house;it does not matter if he does not like me back I totally understand if he likes a blonde with blue eyes.BTW I am black with dark brown hair and brown eyes. hola readers! We just got back from the Kids’ Choice Awards and we can’t even begin to describe what a blast it was! We saw SO many of your favorito! celebridades on the naranja carpet — it seemed like everyone was there for Nick’s big night! We got to chat with Selena Gomez, the hotties of Big Time Rush, Jaden Smith, The Black Eyed Peas, Victoria Justice, Miley Cyrus, Cody Simpson and TONS of others, so be sure to keep checking back HERE for the latest actualización from the KCAs! Jaden Christopher Syre Smith is a boy ,his parents are jada picket smith & will smith he has a older half brother named Trey and a little sister Willow,He is in 3 cine The pursuit of happiness, The día the earth stood still & The Karate Kid. Jaden started actuación when he was 6 years old.Jaden is also the best friend of Justin Bieber. He and his Bff Justin Bieber sang the song Never say never together. 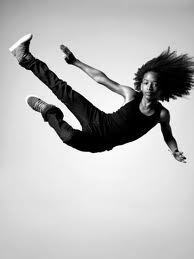 Jaden is now 12 his birthday is July 8th he was born in the año of 1998. For all u Jsmith fans he is single, but it dosent matter for u cause he is MINE!!! a question se añadió: what is your phone number J.Smith? Dressing like a woman is AGAINST GOD who created tu fully a MAN!! !